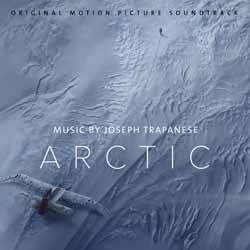 Joseph Trapanese (The Greatest Showman, Tron: Legacy, Tron: Uprising, Straight Outta Compton, Only the Brave) delivers an atmospheric score for Arctic, but I'm afraid that it's one that only really works in the movie, sounding a little flat when listened to on its own merits... unless you're looking for an ambient chill out album. Tracks like 'Unexpected' are almost meditative in their delivery, but you could find yourself nodding off to sleep listening to this. Talking about the music, Trapanese said: “Director Joe Penna was a wonderful creative partner in helping me invent a unique soundtrack. We used choirs of bass flutes, Wagner tubas, and low strings to evoke the power of the landscape, and explored electronic techniques like convolution, re-amplification, and tape varispeed to bring organic, familiar sounds into the frozen environment of the film." Of the album's 23 tracks (1 hr, 13 min, 02 sec) highlights include 'Mission', which is a subtle, yet engaging slow build, and 'Arctic', which is a sweet, melancholic track. While I appreciate how intricate and well produced this album is, it's not the sort of music I'd want to listen to for pleasure. Overall this score left me feeling cold - if you'll pardon the pun.